NEW MUSIC MONDAY: The Springs! On Mondays, in honor of it being the worst day of the week, we’re going to be digging up some new tunes to keep you rockin’ on that first day back at work. Today, we think you should be listening to hot new country duet, the Springs. If y’all haven’t heard of them, you are sure to soon! Holly (22) and Stewart (23), originally from Alabama and now touring in Nashville. 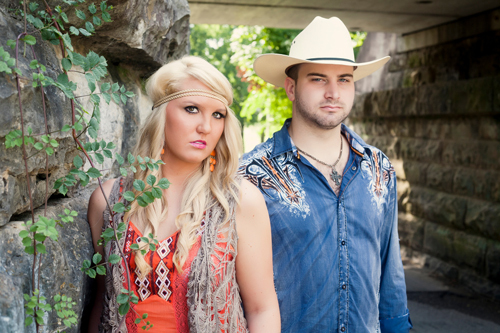 It’s been said that they sound like Jason Aldean and Carrie Underwood, and we can’t disagree! Check out their website for 7 free NEW songs, and stream some of their latest hits for free. Or if you are lucky, you can catch them at a show! here’s their upcoming tour schedule. Enter your email to get the VIP TumbleRoot blog pass.